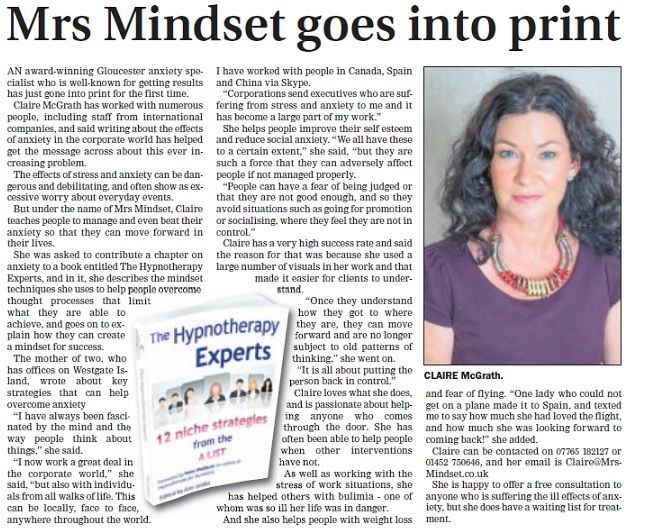 Thrilled to be featured in local publication about my work with anxiety in the corporate world. New book The Hypnotherapy Experts is aimed at therapists who wish to become an expert in their field. I, along with 11 other ‘A list’ therapists, share the interventions we use with our clients. Although I rarely use hypnotherapy in the corporate world, I teach clients anxiety management techniques and sometimes self hypnosis.